Villas-Boas has not been impressed by Modric's behaviour. TOTTENHAM MANAGER ANDRE Villas-Boas has criticised midfielder Luka Modric for trying to force a transfer away from White Hart Lane. The Croatian tried to leave the north London club for Chelsea last year, and is now looking to move to Spanish champions Real Madrid. He has reportedly failed to travel with Spurs for their pre-season tour of the United States, which has drawn the ire of Portuguese coach Villas-Boas. Speaking to AS, Villas-Boas is reported as saying: “I think Modric is wrong. This will go against him. “He has worsened the situation with what he’s doing and now the chairman is very angry. Villas-Boas conceded the loss of Modric would be a major blow for Spurs, who play three games in the space of a week, including Liverpool in Baltimore. “He’s good, very good. I tried to sign him last summer for Chelsea,” Villas-Boas said. Modric has been fined £80,000 by Tottenham for refusing to train with the team. Spurs will face MLS champions LA Galaxy in the first match of their US tour on Tuesday. Email “Transfer news: Villas-Boas criticises wantaway Modric”. 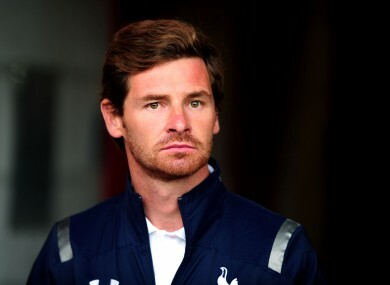 Feedback on “Transfer news: Villas-Boas criticises wantaway Modric”.